The healing crystal industry has exploded in recent years alongside the self-care movement — but journalist Emily Atkin says the crystals' origins are often less wholesome than their branding. 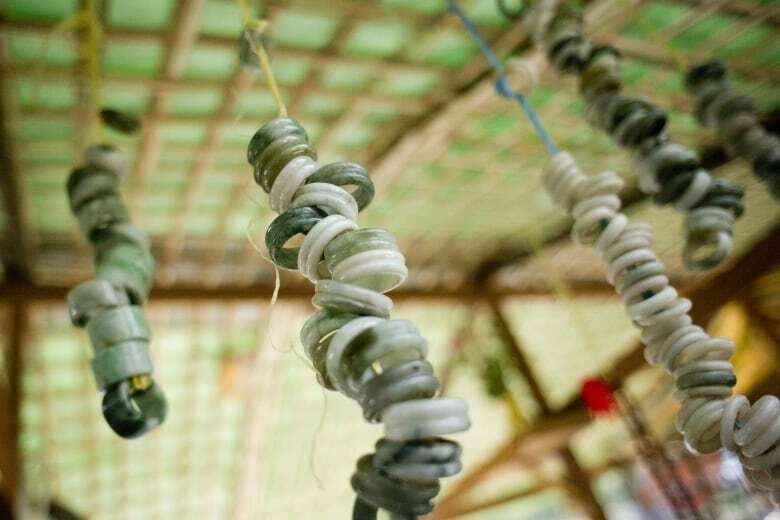 As people renew their focus on self-improvement at the start of the new year, crystal sellers are poised to benefit. In recent years, healing crystals have exploded into a multi-million dollar industry. They are sold as aids to achieve all kinds of wellness goals, although there is no scientific evidence to support those claims. 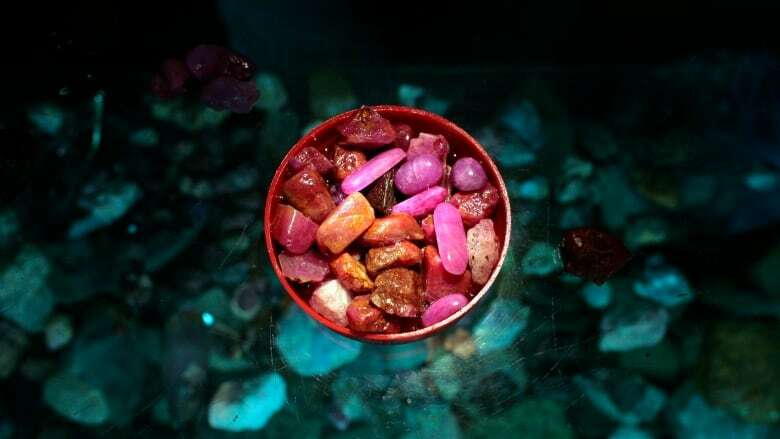 For the people who purchase them, the crystals are seen as a means of deepening one's connection to the Earth. But to date, there has been remarkably little scrutiny of their origins — and according to environmental reporter Emily Atkin, some consumers may want to start asking more questions about where they actually came from. Last year, Atkin decided to investigate the healing crystal industry's environmental and labour practices for the New Republic. As she told Brent Bambury on Day 6, the stones' origins don't always line up with their wholesome image. Paint us a picture of the healing crystal marketplace. Who are the people selling these stones on the retail level? It sort of ranges from the mom and pop crystal store in your neighborhood down the street to the big retailers like Goop, the Gwyneth Paltrow website. Some people just own a crystal shop online. It's this whole spectrum of a business. Last year, you decided to look into where these stones actually come from — and like all good reporters, you started with a Google search. What did you find? I really found nothing. It didn't really seem like a priority. So what happened when you tried to get in touch with the people that are selling these stones? Most of them didn't get back to me, and that was sort of a red flag for me. And then, just after poking and prodding around for a while, I did get some information from some people. What did you find out? 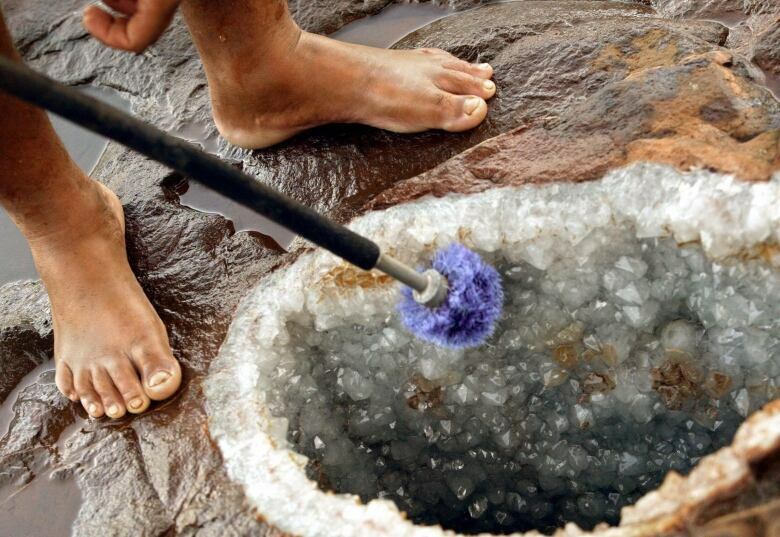 Are there actually healing crystal mining companies out there? Not really. A healing crystal can come from any number of types of mines. There are mines all over the United States, actually, where you can go yourself and dig for a crystal. 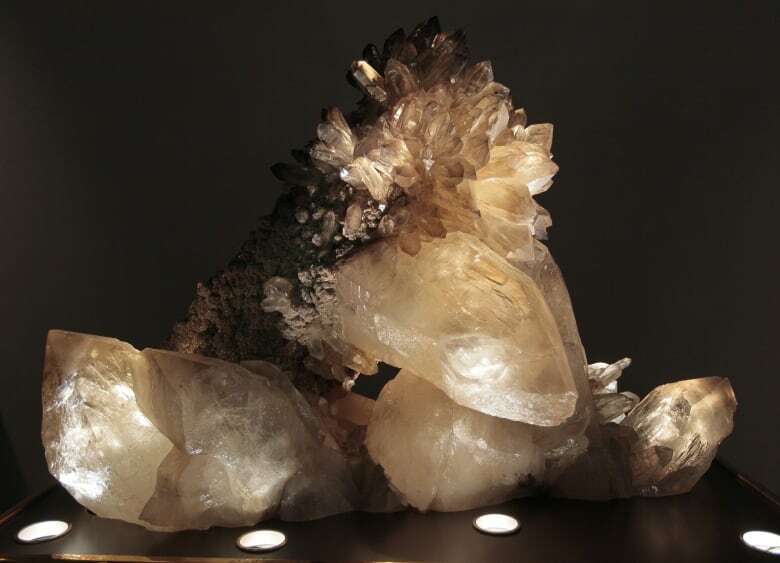 But a lot of healing crystals come from industrial-scale mines — say, of gold or copper or iron ore — and there just happens to be a seam of something pretty. And so these big mining companies sell [crystals] as mining by-products. 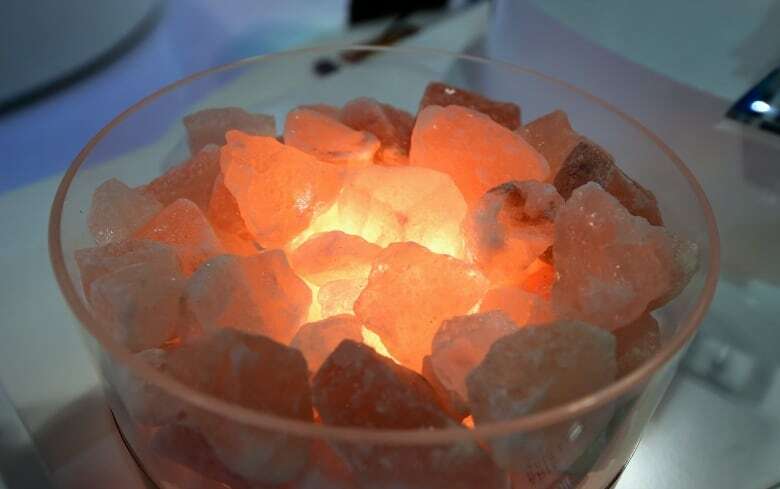 Did you find evidence that healing crystals are being unethically mined? I found evidence that healing crystals can come from mines that have had environmental violations, and I found evidence that healing crystals come from large-scale mines in countries with little to no labour regulation. 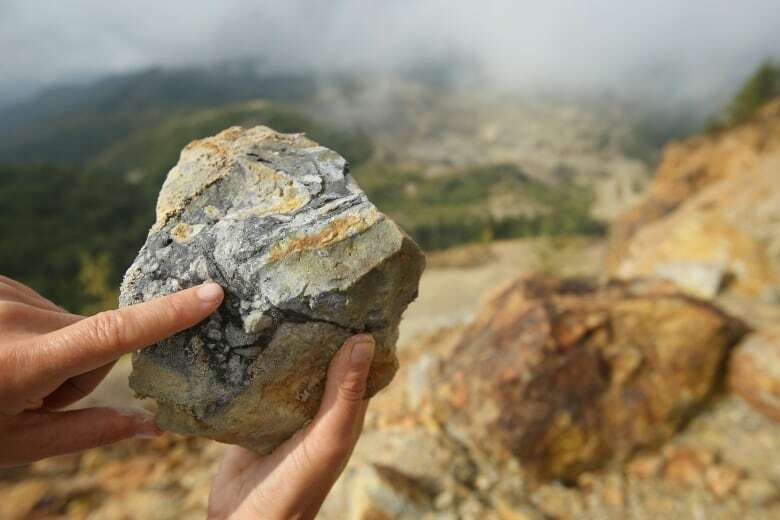 Some beautiful green stones are coming from mines in the Democratic Republic of Congo, where it's well-known that there are a lot of child miners. They can be as young as eight years old. I haven't sourced a stone directly to a child's hands, but what I can tell you is that some stones do come from countries that don't have the type of labour safeguards that we have and just are notorious for child labour. A lot of the crystals do come from mines here in America, but they come from mines that we know have had a lot of environmental violations — like, say, having mine runoff pollute the local water source of a Native American community. So there's a lack of regulation on both sides: labour and environmental. The industry that you're describing does not align with the wellness message that's being used to sell these crystals. Are retailers actively trying to hide the stones' origins? I personally don't think so. When I started asking this question to retailers, the people who responded did so in a way that was like, 'I actually never thought of this either.' The response I've gotten from the healing crystal community is one of deep self-reflection. And this industry is not very old. It only became really popular in the last couple of years — and in the last year, it's really ballooned into a billion- if not multi-billion dollar industry. And that means it's been really small sellers that have been getting crystals and selling them and finding their popularity explode overnight. 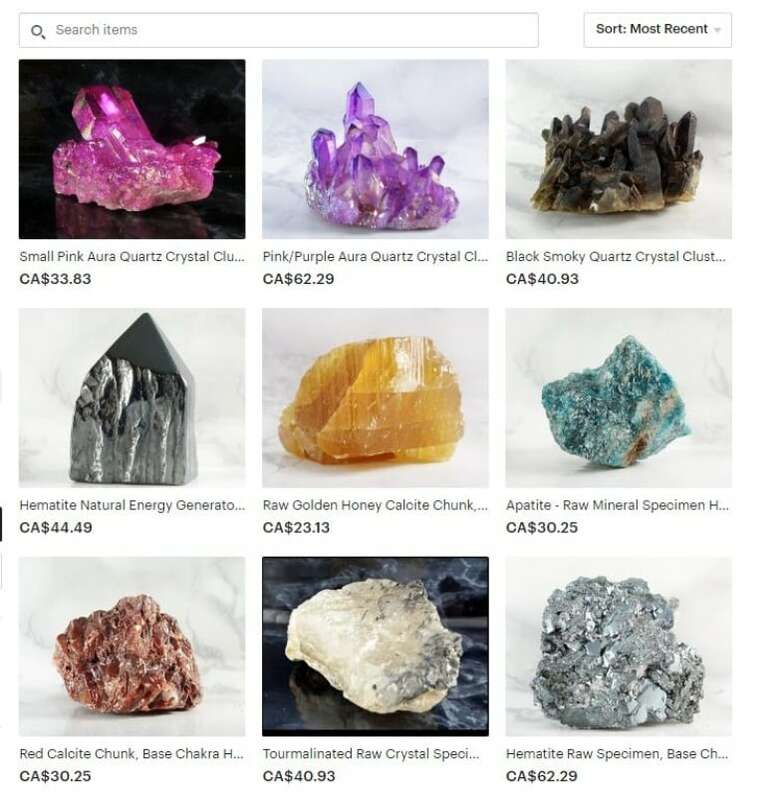 With a lack of regulation on healing crystals the way we have with diamonds and other stones, there are a lot of questions that these sellers aren't asking themselves because they're concerned with how to run their business at this point. But where are the sellers getting the stones? They must have sourced them from somewhere. Most sellers of healing crystals sourced them from a huge gem and mineral show in Arizona that happens every year. It's this huge event where most sellers go, and miners and other wholesalers from all over the world come and sell their crystals. So if someone is selling jade from Myanmar at this event in Tucson, Arizona, are they telling you that this jade was ethically sourced? Not necessarily. One of the women that I spoke to, who owns an online crystal shop based out of Hawaii, she gets all of her healing crystals at the Tucson gem and mineral showcase, and she came across jade from Myanmar. I'm sure whoever was selling it to her said, "it's fine, it wasn't exploitative in any way." But there's no paperwork to really prove that. There's no certification the way you can get a certification for a diamond. So she had to make a choice whether or not she was willing to get that jade. What she said to me was that she made the choice not to get it — but you can bet that it did get sold. With diamonds, sourcing is a major issue. Why is this industry different? This industry is different, number one, because it's not as culturally important. Like I said before, I think this is a product of it being a newer market — and, I think, people just not realizing that every time there's a large industry based around a natural resource....that means that it involves the mining industry. I think it's just not something you want to think about — and therefore you just don't. People have reacted to your article and your investigation. Do you get the sense that people buying crystals are now being a little more curious about the source of their purchase? I can say for certain that some people who are avid buyers and even sellers of crystals are taking that responsibility more seriously. I can't say that I've personally seen anything change on the big sellers' websites, like Goop for instance. There's still no sourcing listed for any of their jade eggs. I'm sure that the question still hasn't come up for a lot of people, and you know what? I'm sure a lot of people just don't care. I've seen a lot of people justifying the questionable sourcing with the idea that there are worse things that we need to be concerned about — you know, the mining of the rare earth minerals on our phones. This is so much on a smaller scale. And that's totally true. It's just the alignment of what you're saying it's for — you know, "it's healing you," versus "did it harm somebody else?"' And I think that is concerning to some people. This interview has been edited for length and clarity. To hear the full interview with Emily Atkin, download our podcast or click the 'Listen' button at the top of this page.